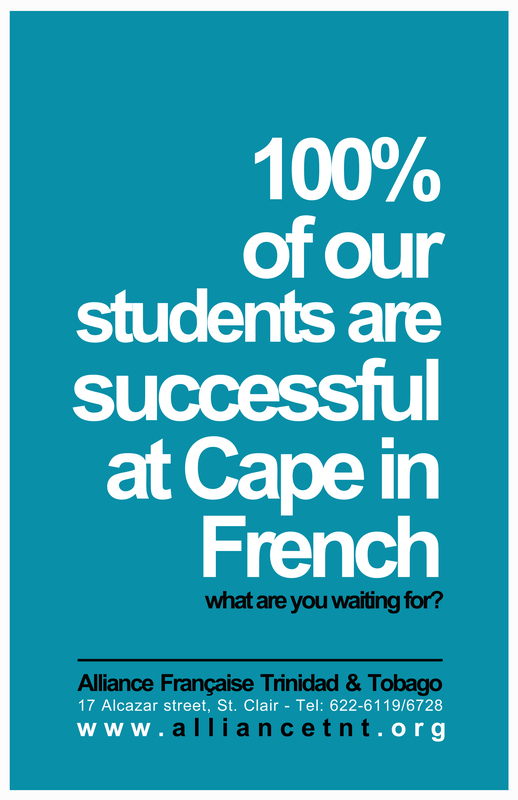 100% of our students are successful at Cape in French! Our teachers already work in Trinidadian high schools and know the curriculum perfectly well. For many years, students of the Alliance have succeeded at CSEC and CAPE exams. Prepare your teenagers for the French CAPE examinations. *6 students per class maximum / Classes will be opened only on condition of adequate registration for those days. Please be advised that we no longer accept cash payments.